MaritzCX (the “CX” stands for “Customer Experience”) is seeking virtual Market Research Interviewers to conduct telephone interviews. 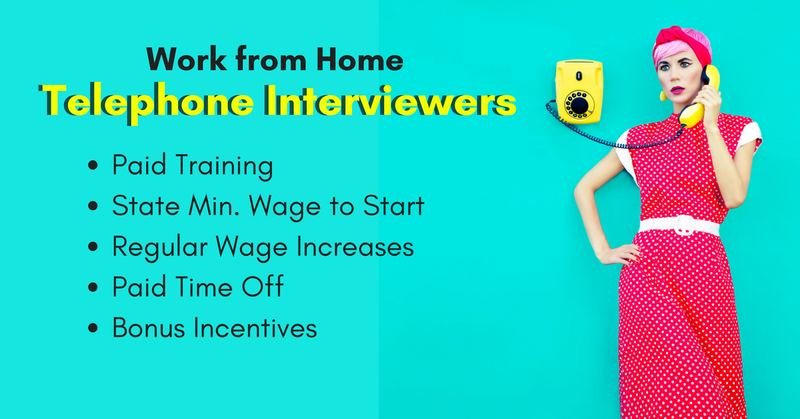 “This part-time position will work out of your home to conduct Market Research interviews by telephone with various individuals, gathering valuable information regarding products, services and experiences that will assist our clients in producing a higher level of customer satisfaction. Successful candidates are expected to represent MaritzCX and our clients in a professional manner, providing the highest level of customer service possible. Successful candidates will interact with the customer and record data through our CATI system (Computer Assisted Telephone Interviewing). Successful candidates must be comfortable with the operation of a personal computer and be comfortable with data entry processes and procedures. Click here for full details and to apply. For more jobs like these, check our Newest Jobs & Gigs page. To be the first to hear about jobs like these, like our Facebook page and see our posts. Good luck in your virtual career plans!